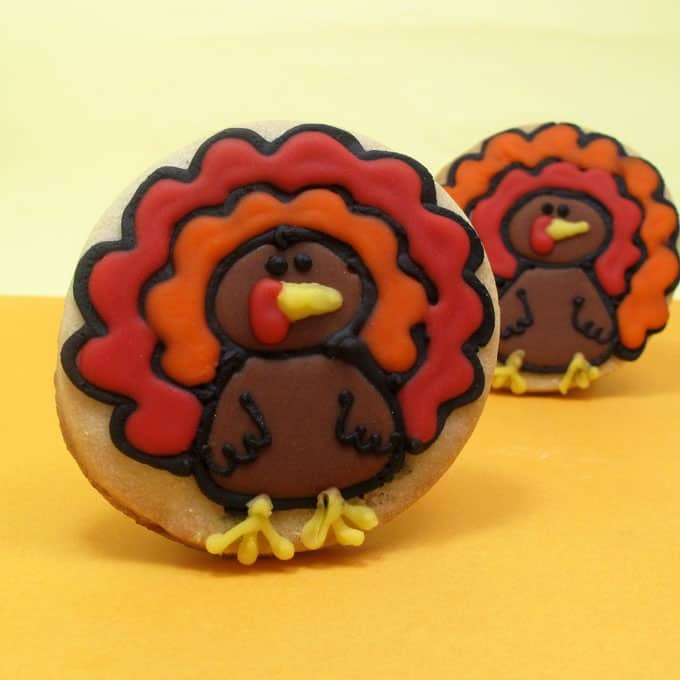 Next up on my list of Thanksgiving cookie ideas I made for Celebrations… Turkeys! 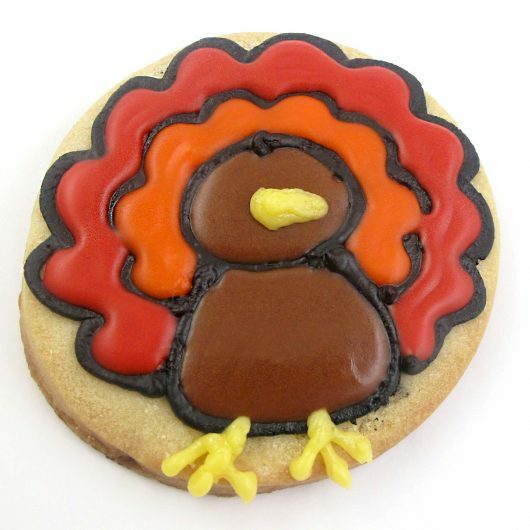 Turkey cookies are kind of necessary for this holiday. 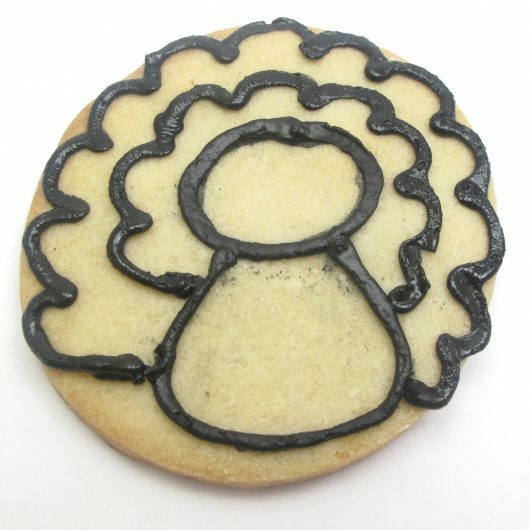 I’m always a fan of putting all cookie designs on circle cookies instead of more complicated shapes. Keeps things nice and simple. 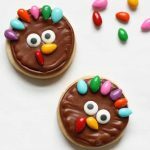 If turkeys are your thing, check out these turkey donuts, super simple turkey cookies, or this chocolate turkey cake. For tips on cookie decorating supplies, click here. I suggest Americolor food coloring (Chocolate Brown, Red Red, Super Black, Orange and Egg Yellow). Roll out chilled cookie dough, cut out circles and bake according to the recipe. Let cool. Prepare royal icing, divide and tint your colors: Black, brown, red, orange, and yellow. Prepare four decorating bags with couplers and tips, fill with black, red, orange and yellow, and close tightly with rubber bands. Cover and reserve the brown icing. Pipe an outline of the turkey as shown with the black icing fitted with a size “3” tip. Let the outline set about 15 minutes. Thin brown icing by stirring in water, a few drops at a time, until the consistency for flooding (a spoonful of icing overturned should take about 10 seconds to disappear into the rest of the icing). Fill an empty decorating bag, snip the tip about 1/4 inch from the tip, and flood the turkey with brown icing, encouraging the icing as needed with a toothpick to completely fill the turkey body and head. Let set well, several hours at least. 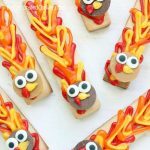 Pipe to fill the feathers, using red, orange and/or yellow icing fitted with size “4” tips. Change the tip on the yellow to size “3.” Pipe the beak and the legs. Change the tip on the black to size “2” and pipe the eyes and wings. Change the tip on the red to size “3” and pipe the waddle. Let the cookies dry well, preferably overnight. These are so cute! And I love that they start out with just a basic round cookie. 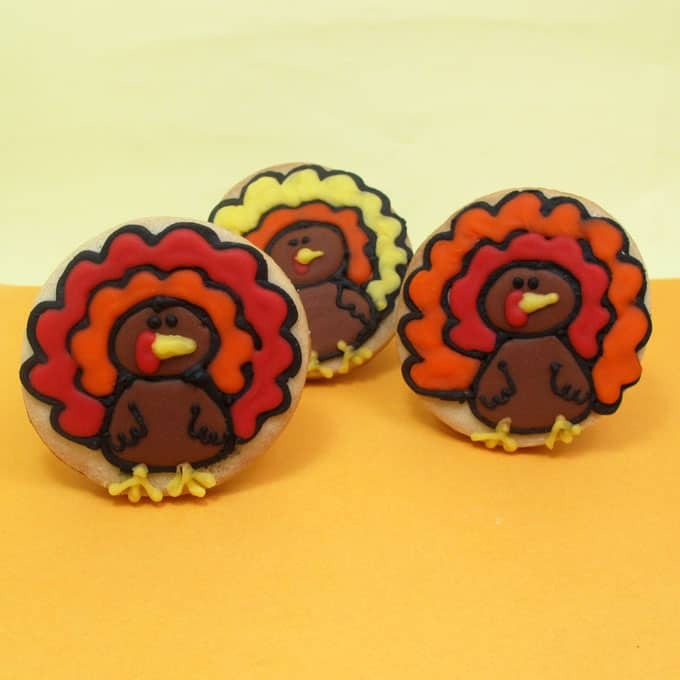 I would much rather have these little gobblers than the real thing-adorable! O.K. 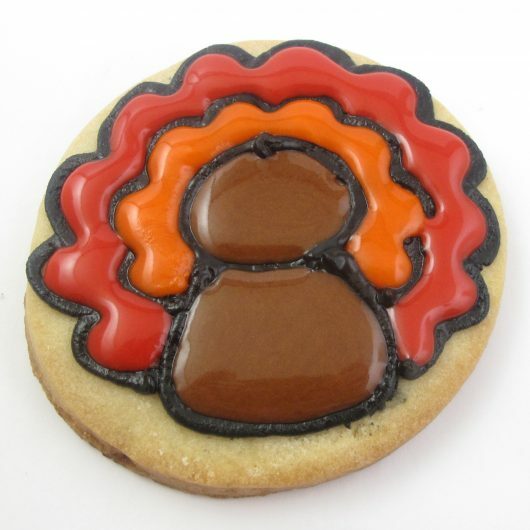 forgive me for writing the following but I just want to *gobble gobble* up a bunch of these right now. So cute! Dag nab it Paula took my comment! Well, you can never have too many puns. That's my motto! 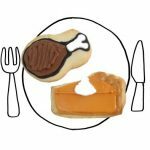 He ate so much over the holidays that he decided to quit cold turkey. Too cute … love the feet! How did I just find you?! 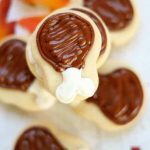 I followed a link from a melting snowman cookie and found your amazing site! Everything is so wonderful and completely creative. Thanks for sharing all of your wonderful ideas- they are very inspirational! 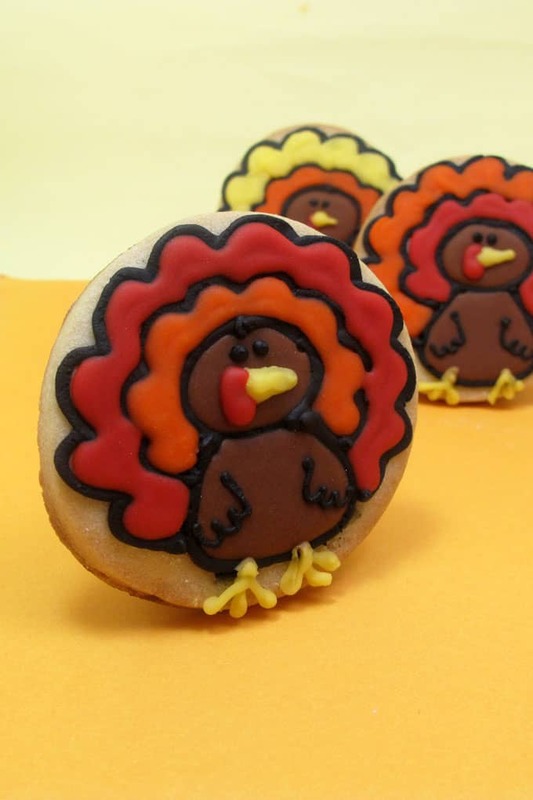 I found these cute turkey cookies after the Holiday, but would love to make them next year. You are very talented!